I mentioned in my recent post about Yoga that I recently had a free 14-day pass to a David Lloyd gym. I’ve taken every opportunity to use it as much as I can and do things I’ve not done before. I’ve done fancy spinning with an immersive screen, hot yoga, normal yoga and pilates. This place is nice. It has 8 indoor tennis courts, outdoor courts, indoor and outdoor swimming pools, Pilates studio, Yoga studio, steam room, sauna, immersive spinning studio, café (with beer) and all the other gym stuff. It’s clean and generally pretty swanky. This obviously comes at a price. A fairly hefty monthly price. Over the trial period, I haven’t gone to my usual BMF classes and I haven’t been running. I’ve missed both of these even though the nights have drawn in and got colder and wetter. 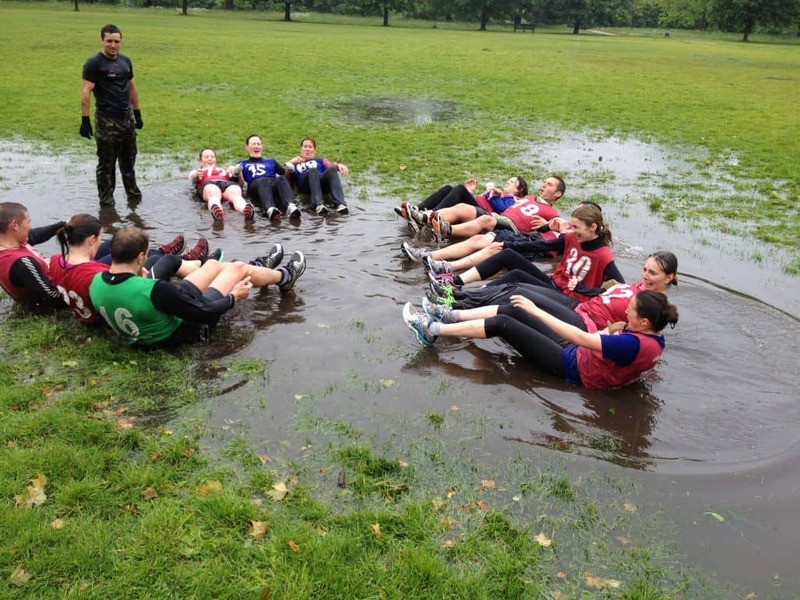 As I mentioned in my post about British Military Fitness (BMF), I have tried gyms before and have rarely enjoyed them unless I have had a specific event to train for. I have managed to avoid the standard thing of going for a month and then not going for the next 11 months, by either paying monthly or using guest passes. If you have read the BMF post, you will garner that I quite like it. The success of BMF is that it appeals to people who don’t like gyms for whatever reason and you “kind of” get your own personal trainer (that you share with others). I also run independently of the BMF sessions, and as useful as treadmills can be for winter marathon training and pace setting, they don’t replace getting outside and running in the great outdoors. There is always somewhere to run, and if you look hard enough, somewhere beautiful or interesting to run and even someone to run with. There are lots of free run clubs out there. So if I go back to the question I posed at the top. Can I go back to the gym? It’s winter! As much as I get a kick out of going out in the dark, cold, rainy night – it can be trying. That Daley Thompson analogy about training of Christmas Day comes to mind. Yes you get a workout, and you feel great afterwards, but in the pitch black of park you have little idea where you’re going, (I wear glasses so I’m mainly surviving on my Spidey senses) you have no idea what you are rolling around in, (let’s not even go there) there are stags roaming around chasing the lady deer. It just all feels a little bit nuts. I want to improve my swimming. I wasn’t a bad swimmer in my younger years (I still have a few club records – sorry no internet proof of this, you will have to trust me) and know the very specific nature of swimming (how often do you go around swirling your arms over your head continuously). The gym will allow me to work on this. I want to give tennis a bash. I’m not sure how that will go, but hey, why not! I can also play badminton. My girlfriend seems to think she will wipe the floor with me, so we’ll find the answer to this conversation. I frickin’ love saunas. Not the general nakedness and sweatiness. There are varying opinions on whether saunas aid recovery, but after a workout (or even not after workout) it just feels good. Maybe it’s a placebo effect of getting really hot and sweaty that makes you feel you have worked out harder that you actually did. I’m cycling more so I’m still able to get my outdoor rush. There are still lots of classes I would like to try. My girlfriend is already a member so this is something we can do together. Did I say it is really nice! I just don’t want to be one of those “gym” people. I know this sounds like a very ambiguous and slightly pretentious statement. We could go into a deep dive about what everyone dislikes about gyms, but, I think I’ve found the things I love in BMF, running and cycling. Swimming would be the only thing missing. If you’re in the gym proper ie. weights and machines. There is a lot of standing around or sitting around between sets. If I was outside, I could be running around. I’m actually working out for that whole hour. Going to the gym is always going to be a fairly solitary affair. The group dynamic and social element to BMF is a big pull. 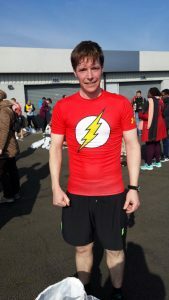 I have attended a few social sessions of a local running club. This has really taken my fancy and could help take my running up a few notches. The annual subscription is about the same as half a month’s gym membership. BMF is tough! As I am writing this, 3 days after my first session back at BMF, I am still sore. I’m challenging myself against some seriously fit people. I don’t think I can get that at a gym. This brings us on to money! I would be pretty much doubling what I pay for BMF to go to the gym. The membership is in 3-month blocks so at least I wouldn’t be signing up for a year. I have not fully decided yet. I think I know what I am going to go but I need to give BMF another blast first! A number of friends have juggled the dilemma of gym memberships. They really want to improve their health and fitness and the gym seems like the convenient way to do it. They’d get that surge of motivation, go a few times and then end up not going. The monthly direct debit isn’t cancelled as that would be admitting defeat and you never know, the motivation may return! You can’t just rely on motivation, though. Do you have a good reason to go to a gym? – This goes back to goals. A general reason like “I just want to get fitter” is not going to hold up for too long. Get specific. Take some time to clearly think about this. Location, Location, Location – Kirsty and Phil (a British reference) are correct; it always comes down to location. 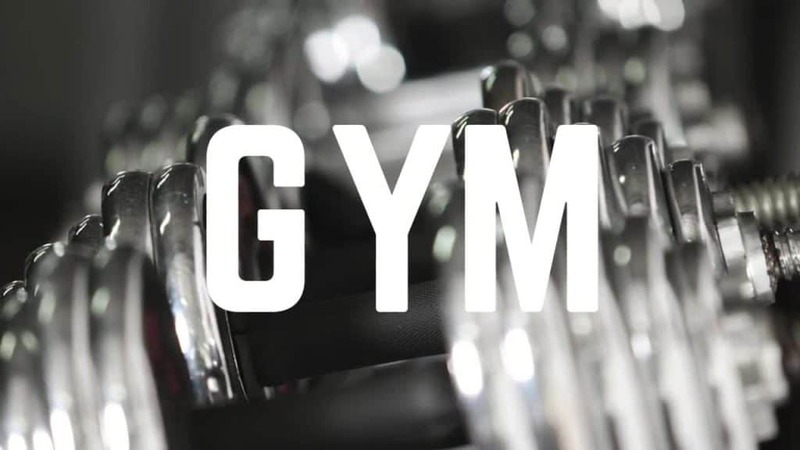 If the gym isn’t conveniently located – you will not go. Will you be going from work or home? One thing that’s always useful to think is “Do I have to pass it to get home?” If you have to pass it every day, the constant reminder can be very helpful. Classes – If you’re paying for lots of individual classes, maybe a gym has them all bundled into a membership. Take a look at the timetables for what you’re looking for. What do you want to use? – If spinning is your bag – find a gym with a dedicated studio and lots of sessions. Like to run? – find one with lots of treadmills. If you are a free weight guy or gal – make sure there are enough weights and benches. Friends – These keep you accountable. If you have someone to meet at a certain time, you are more likely to keep that appointment and actually go. Do you have a friend who already goes to a gym? Can they get you a discount? Price – What are you willing to spend? Is it worth paying a little bit more for a more convenient gym, that the cheaper one you’ll end up not going to? Consider flexibility too. Is a more expensive monthly membership better if you what to stay flexible? Take a trial – These places what your money. They will be willing to give you a trial. Just ask. Any gym worth its salt will offer them anyway. Don’t get swayed by the membership people – The reason they have their jobs and do what they do is because they’re good at it. The guy at David Lloyd is very nice and has followed up with a couple of times with phone calls. It’s his job to get me to sign up. But if the gym is not for you, say so. Don’t lie and say you’ll think about it. Be honest. They’ll appreciate it more. It’s not personal, you don’t have to please them and they don’t have to like you. Next Next post: Why do you run? What’s the reward?